All about New Yankee in Pharaoh's Court 6. Download the trial version for free or purchase a key to unlock the game! 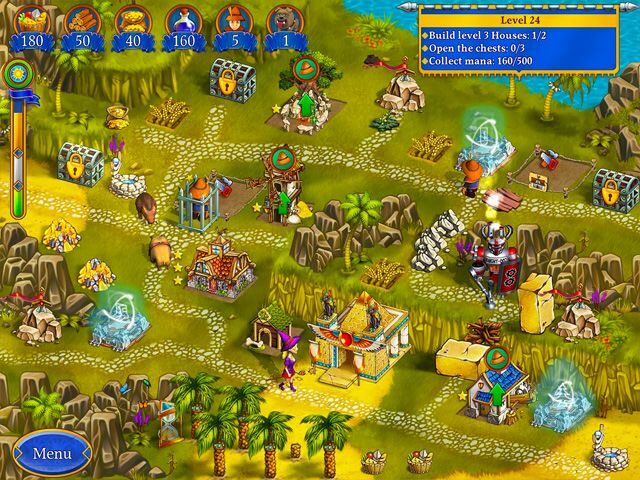 Travel back in time to the land of the pharaohs to stop an imposter from seizing the throne! It's all in a day's work for Sir John and Lady Mary – the Yankees who travel through time to save the world! 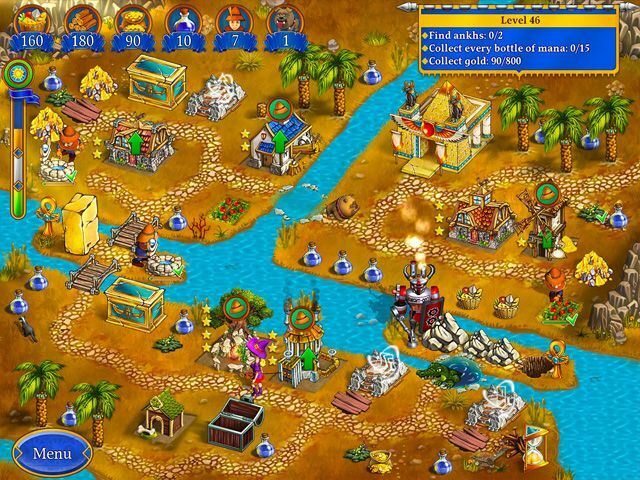 Travel back in time to the land of the pharaohs to stop an imposter from seizing the throne! When John and Mary step through the Mirror Between the Worlds to tour ancient Egypt, they find themselves wrapped up in their most astonishing adventure yet! 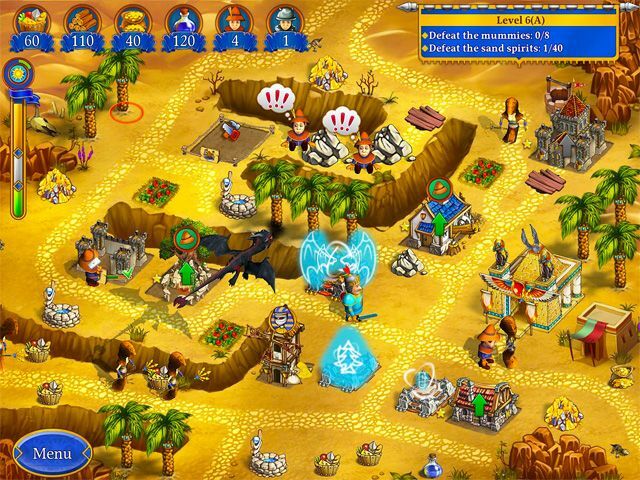 As they help a hapless ruler try to regain his throne from a phony pharaoh, they'll come face to face with mummies, scorpions and the dark magic of a land long ago buried under the sands of time. 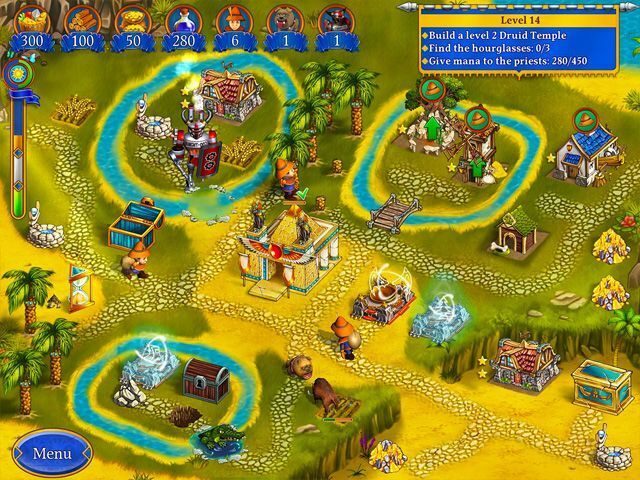 As their tour guide through this amazing world, you'll control their actions as they race against the clock to remove daunting obstacles, gather vital resources and overcome dangerous traps! 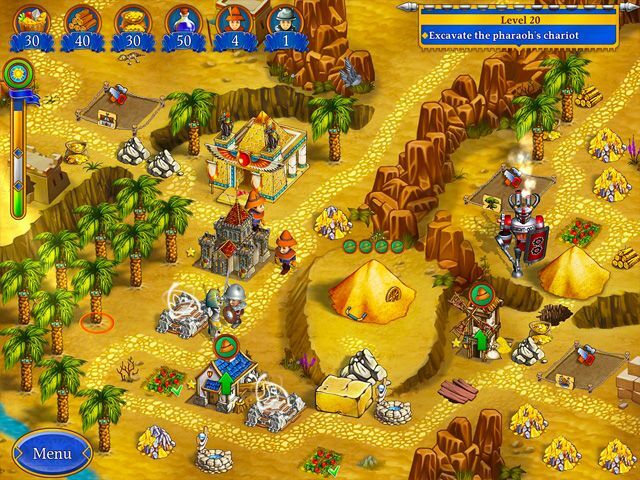 Before the ultimate showdown arrives, you'll command them to build pyramids, the Sphinx and more, using your best strategies to complete each level as quickly as possible. 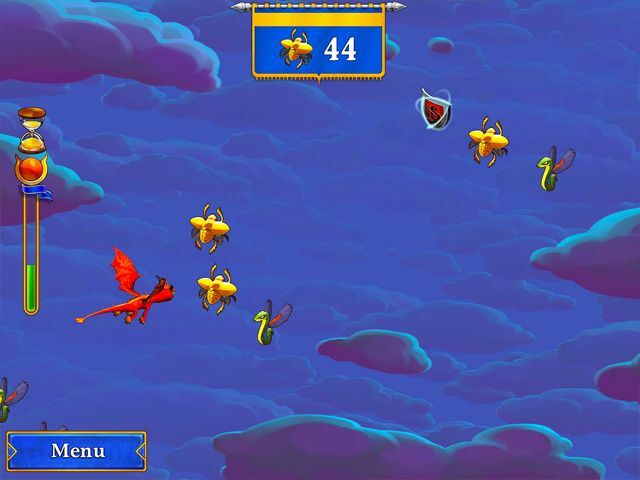 Before the adventure is over, you'll soar above the dunes on the wings of a dragon to collect scarabs, solve matching puzzles to unearth hidden treasure and earn dozens of achievements. It's all in a day's work for Sir John and Lady Mary – the Yankees who travel through time to save the world! 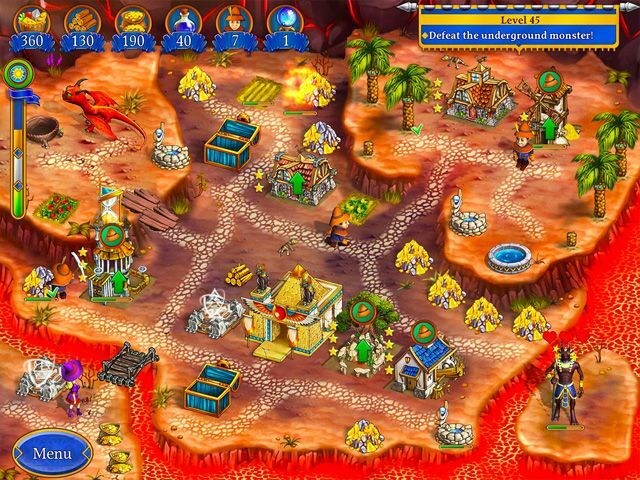 Loved the game, except I completed all levels in gold and got all trophies except the one that says not to let mummies occupy any buildings on level 27. 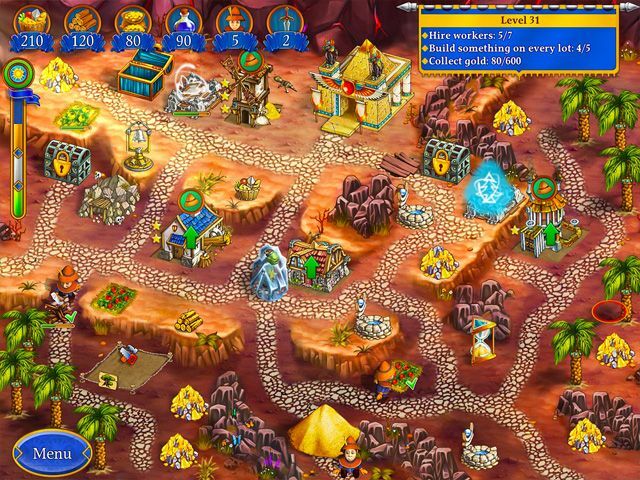 I have played that level without letting mummies occupy any buildings several times but it will not give me the trophy. I love this game make more games like this please.